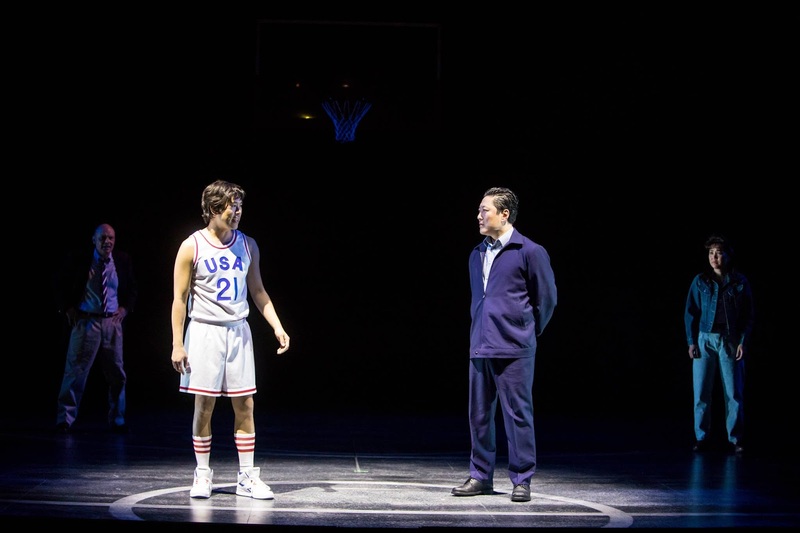 "The set (designed by Sara Ryung Clement) is a basketball court, the coach’s office, and sometimes side streets and apartments. It all seamlessly flows from one to the other. Director Desdemona Chiang did an amazing job of using the large stage to emphasize the largeness of the court and the countries, and the intimacy of private spaces and lives. Stunning." "That's why I appreciate creative, responsible historical fiction so much - I believe in its power and have seen the near-instantaneous changes it can inspire when it's done right (I mean, helloooo Hamilton). The Great Leap, now showing at the Guthrie Theater, is just such a show. It weaves two historical occurrences - basketball games played between U.S. and Chinese college teams in the 1980s and the Tiananmen Square protests of 1989 - to help audiences understand what was at stake in the roiling change China experienced in the late 1980s"
"Inspired by her father, a Chinese-American who went to China to play basketball against Chinese teams, Lauren Yee has written a smart, funny, entertaining, educational, and thought-provoking play about basketball that isn't really about basketball at all."